For many Americans, today is for dressing up in costumes, eating lots of candy, and maybe getting a little spooked. Most of us don’t think about the meaning behind Halloween, but I would guess that based on its commercialization, it’s generally considered one of the most fun holidays of the year. 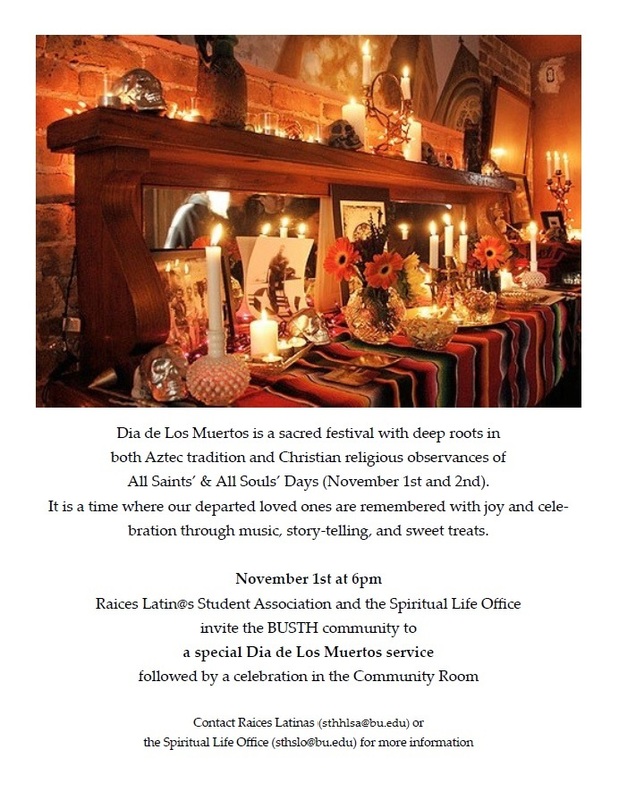 But tomorrow, Raices Latinas, a student group at STH, will join Latinx populations across the globe to celebrate El Día de los Muertos (“Day of the Dead”), a holiday most strongly associated with Mexico. 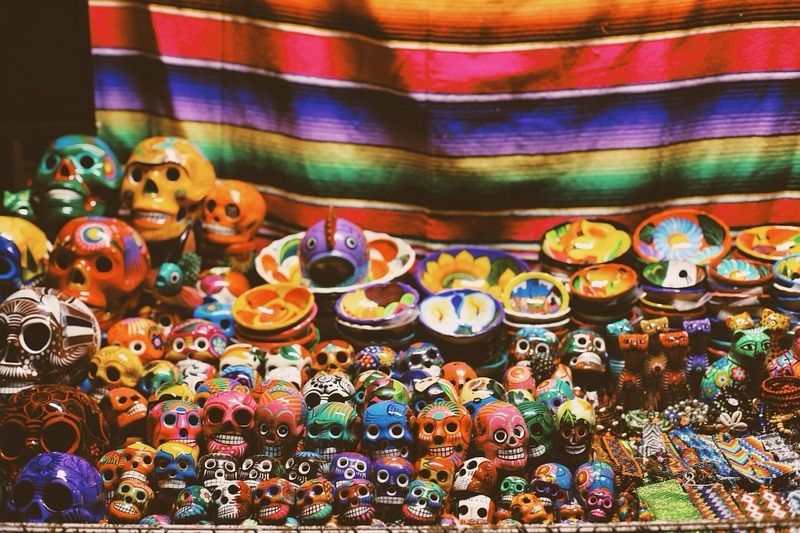 Día de Los Muertos consists of many fun traditions, but its meaning is much deeper than that of Halloween. Día de los Muertos is celebrated in this way based on the assumption that the dead would not appreciate mourning and sadness. The deceased remain part of the community and are celebrated as such. In contrast, Halloween associates “the deceased” with spooky characters like zombies or ghosts. What does it say about American culture that we associate the dead with spookiness and fright? There’s your daily dose of theology. No debate about heaven or hell, damnation or forgiveness – just a universal celebration of the deceased. Today I’ll probably eat more candy than I should, and might even watch a scary movie if I’m feeling brave. Tomorrow, though, I hope to celebrate El Día de los Muertos by remembering the dead in a positive and lively way. Raices Latinas is holding a service on Tuesday at 6:00 pm in Muelder Chapel to remember loved ones and celebrate their lives. Click here for more information. Anna Carro is a 2nd year MTS student at Boston University School of Theology specializing in Ethics.